Playing the Ukulele, like playing any instrument, is a very fun and rewarding experience. However, the early parts can become a bit drab as the basics are still being mastered. Anyone who plays an instrument can tell you that it’s the combination of many basic techniques that allow for a song to turn out beautifully. A great example of this Maroon 5’s Sunday Morning. A simple song that, combined with a couple of techniques, becomes a fun a beautiful tune to serenade people with. 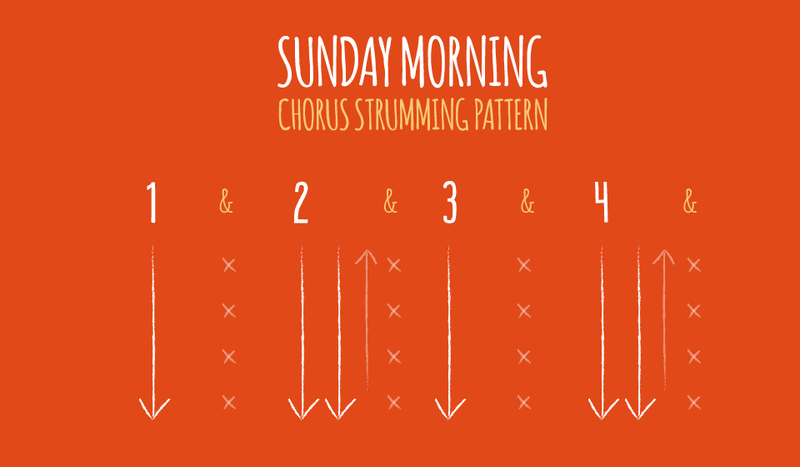 Three chords (F, G and C, in that order) are all that are needed to play Sunday Morning. That’s what makes this such a great beginner song. However, this article is not just about how to play an easy song, but how to make an easy song sound great. So if you’re just starting out, work at familiarising yourself with these chords. What’s nice about these three chords is that they just move down the strings from top string to bottom. None of these chords are too difficult to switch between, but if you’re having trouble with it, I find it helpful to ‘anchor’ my chords based on the free fingers. When I’m playing the F chord I have my ring finger waiting over the 3rd fret of the E-string. That just helps make it fast switching to the G chord. When I switch from the G to C chord I leave my pointer finger on the A-string until my ring finger is in place. Before I’m ready to shift I often place my pointer and middle fingers just above the G and E-strings so switching from the C to F chord is done easier and quicker. Thankfully this song doesn’t require super quick switches between chords, but it helps to practice anyway. The two verses of the song will be the simplest part of the song to learn. They will sound simple as well, which is a good thing. This will allow for a wonderful contrast to the more stylized pre-chorus and chorus. Each of the verses will use a single down strum for each chord. The pre-chorus only really happens once in this song, but it’s the first section to start introducing a beat. The pattern is a single down strum followed by tapping your hand against the instrument to silence the string and make a thud sound like a drum beat. This is a simplified version of chunking because it doesn’t actually require the strumming of muted strings. Use this technique once for each note followed by an up down again on the C note on the fourth beat. Now is where we really get to add some heart to the song. In the chorus and bridge we bring in chunking or palm muting. 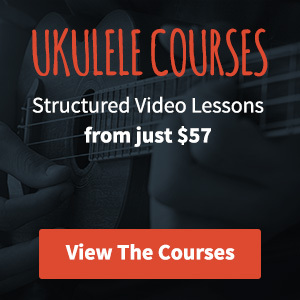 This technique took me a bit to understand when I first started playing ukulele, but once I did it really opened up a lot of opportunities for all of the music I play. It brings in a beat that really gives life to the song. Chunking involves strumming the strings while they’re being muted by your strumming hand. It’s really one of those techniques that you only understand once you’ve done it, but if you’re interested in reading on the technique click here. Once you get comfortable with the chunking technique, all that’s left to do is apply it to the strumming pattern. 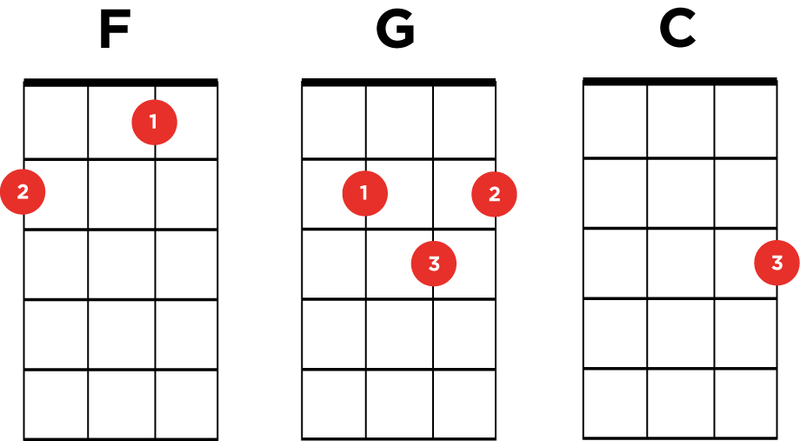 The pattern is down chunk on the F chord followed by down down up chunk on the G chord. This pattern is then repeated playing the C chord for both parts. That’s all the pieces. Once you begin to get comfortable with each piece, you can start to put them together to create the whole song. Like most songs it’s repetitive, but by adding small techniques like chunking and alternating strum patterns you can make three chords sound stunning and different every time. The most important part is to have fun and as you get more comfortable with the song to really make it your own. 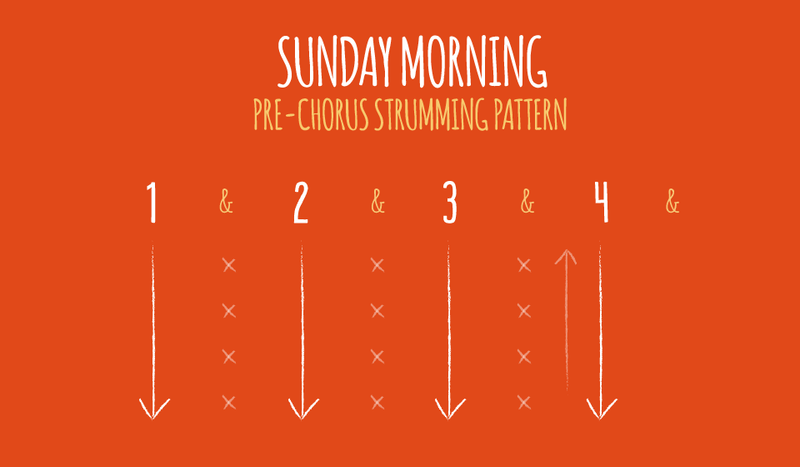 Try out other strumming patterns or chunking differently to give the song a different sound.